﻿ One year Course training review in Kunyu mountain. One Year Kung fu Course From Nov 2016 to Nov 2017. 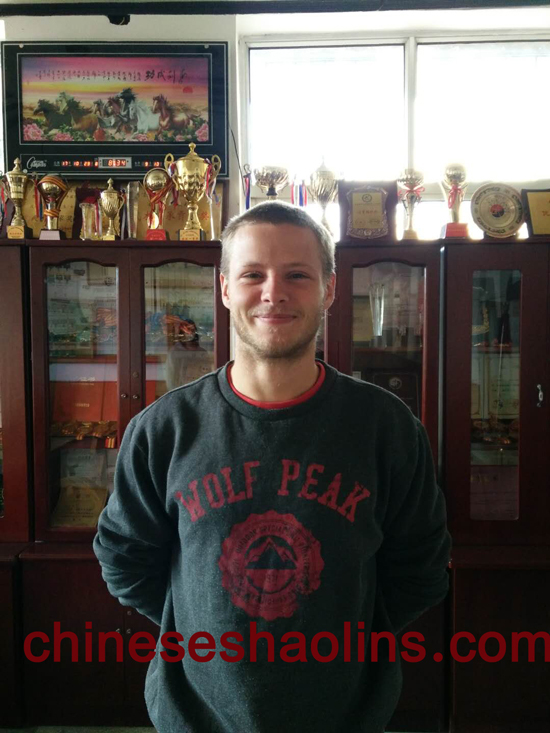 I chose China to study Shaolin kung fu because I wanted to travel and see more of the world, whilst at the same time wanting to renew the interest in martial arts that had been lacking in my life for the few years leading up to my time here. I was mainly motivated by the desire to alter my life, and Kunyu mountain offered that opportunity. My greatest gains from the training at Kunyu mountain are an increase in physical fitness, flexibility and the reaffirming of my ability to self motivate. I have improved self confidence as well as gained knowledge of how to continue to train once I return home. The person who influenced me most during my time at Kunyu mountain accademy was Gao Shifu who instructed me in Shaolin and Sanda(Chinese kickboxing). Other persons of influence were the monitors of various groups who help instruct new students when they arrive, as well as some of the 'older' students who were able to share experience and techniques to help me improve. The training at Kunyu is built around a weekly cycle ,which makes the routine easy to follow with extra optional lessons in the mornings and evenings. Three meals are provided throughout the day at set meal times, and are of a decent enough standard. The translators are available to students if they have any issues and are very helpful.- The views from the surrounding mountains are beautiful, as is the view of the surrounding mountains. The nearby lake is nice to swim in, when we are allowed. Hedley spent One year in Kunyu mountain.